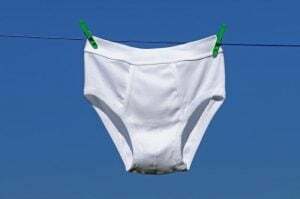 Does your company have clean underwear? In the April 26, 2016 Ask The Headhunter Newsletter, a hiring manager lectures employers about the importance of no-thank-you notes — and about respecting job candidates. I like your suggestions about thank-you notes. However, I want to talk about no-thank-you notes. I recently got a very nice thank-you note from an applicant to whom I had sent a no-thank-you — that is, a rejection letter. She seemed surprised to hear from me. As a manager, it has always been my practice to reply to every applicant either by letter or e-mail. I’ve been criticized for the time it takes. However, I believe that if someone takes the time to express interest in your company, the least you can do is tell them “no, thank you” if you don’t want them. The convenience of job boards and e-mail applications has led us to forget there are real humans with feelings at the other end. Since we are not likely to run into one of them at the check-out counter, we don’t acknowledge that every resume sent out to us carries this person’s real hopes for a job along with it. I would encourage you to write a bit about etiquette for the hiring manager and about the proper approach regarding the communication to applicants after receiving their resumes. Hallelujah! I hope everyone who reads your statement tacks it to a couple of doors: the boss’s and the human resources (HR) department’s. But don’t forget the board of directors. It ought to be tacked to their agenda. Who has time to be nice? You’ve given me a chance to hold forth on a subject that’s always too easily dismissed. The story today is that companies receive so many resumes and applications that there is simply no way to respond to them all. HR departments scoff at the suggestion that they’re responsible for such niceties. Who can reply to 5,000 job applicants and still have time to hire anybody? The trouble is, HR sets this standard for all managers in a company. When we create situations that make it impossible for us to respect basic social conventions (like saying “thank you” and “no, thank you”), that should be a signal that we’re doing something fundamentally wrong. Why solicit thousands of applicants, when you need just a handful of good ones? When you get sick from overloading your plate at the cheap buffet table, nature is telling you something. When we let the dogs go wild at feeding time — HR rabidly devouring heaps of non-nutritive resumes — it’s time to re-train the dogs. But I’m not lashing out only at HR managers. Nope. I’m lashing out at their trainers: departmental managers, corporate CEO’s, and boards of directors. Are you on a board? Are you a CEO? Do you have any idea how your HR department and your managers are treating the professional community you so desperately need to recruit from? Make no mistake. Even in today’s “employer’s market,” top-notch workers continue to be few and far between. Finding those few precious souls who can both do the work and bring profit to your bottom line is a daunting, challenging task. To get the attention of the best, the brightest… you’ve got to be nice to everyone. This is a wake-up call about behavior. Every company’s reputation hinges on it. Ask your mother; she’ll tell you. Always say thank you. Always wear clean underwear. Always take time to be polite to people. 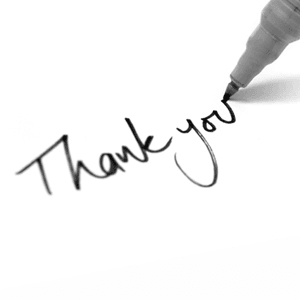 If you have no time to write thank-you notes, then you’re soliciting too many resumes. If you have no time to be nice, I’ll bet it’s because you spend too much time with resumes and not enough with people. Learn to be nice. Make it your policy. If you don’t inspire good people to say nice things about your company, you can’t hire good people. It starts with that thank-you note; even with a no-thank-you note. Where it really starts is with your hand writing a personal note; with that hand attached to an arm attached to a warm body that gives a damn. Because if you don’t give a damn about people who apply to your jobs, pretty soon everybody will know, including your shareholders. And that, Mr. CEO and Ms. Member of the Board of Directors, is why you need to make sure your HR department and your managers are polite, wear clean underwear, and write thank-you notes. Does your company respect job applicants? Does it walk the talk — and send thank-you notes? Does your HR department insist on proper behavior from job applicants, and then diss them when the interviews are done? Don’t blame women for the gender pay gap! 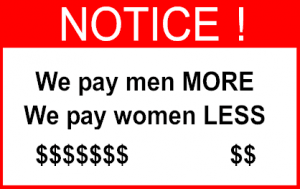 In the April 12, 2016 Ask The Headhunter Newsletter, the truth about equal pay rears its head. When women get paid less for doing the same jobs men do, the real reason is obvious to any forthright business person, though it seems to elude the media, the experts, and even some women themselves: Employers pay women less because they can get away with it. The same pundits tell women that they should change their behavior if they want to be paid fairly for doing the same work as men. But the experts, researchers, advocates and apologists are all wrong. There is no prescription for underpaid women to get paid more, because it isn’t women’s behavior that’s the problem. There is only one thing a woman should have to do to get paid as much as a man: her job. When doing the job doesn’t pay, women of all ages should be aware that younger women today have the solution. According to a recent report from the International Consortium for Executive Development Research (ICEDR), some women have figured it out. Millennial women don’t need to change their negotiating, child-rearing, educational or any other behavior to impress errant employers. They know to quit and move on. This is going to change life at work as we know it. Let’s look at what women are supposedly doing to abuse themselves financially. 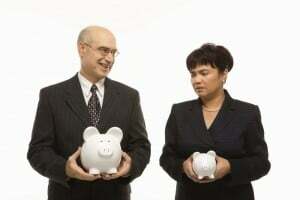 We can refer to umpteen surveys and studies about gender pay disparity — and to some that suggest there is no disparity. But a recent Time magazine analysis summarizes the data from the U.S. Census and other sources: “Women earn less than men at every age range: 15% less at ages 22 to 25 and a staggering 38% less at ages 51 to 64. This has become favorite fodder for the media — and for armchair economists and gender researchers and pundits looking to bang out a blog column. But I think most of the explanations about pay disparity, and the prescriptions for how to get equal pay for equal work, are bunk. Don’t have the right education (e.g., STEM), so they can’t get good jobs. Are nurturing, so they don’t negotiate hard enough for equal pay. Let their men get away without doing household chores — so those men (if they’re managers) don’t know they should pay women fairly. These explanations about lower pay are speculation and myth, but the message is always the same: If women would just change some or all of those behaviors, they can shrink the pay gap. I say bunk. Women don’t cause the pay gap. Employers do. So employers should change their behavior. I’ve been a headhunter for a long time. I’ve seen more job offers and observed more salary negotiations than you’ll see in a lifetime. I’ve observed more employers decide what salaries or wages to pay than I can count. And I am convinced the media and the experts are full of baloney about the pay gap between men and women. They are so caught up in producing eye-popping news that they’re doing women a disservice — and confusing speculation with facts. Employers pay women less to do the same work as they pay men. Well, there’s just one fact, and that’s it. Women don’t make themselves job offers, do their own payroll, or sign their own paychecks. The gender pay disparity is all — all — on employers, because we start with a simple assumption: A job is worth $X to do it right, no matter who does it. It’s all about getting the work done. And the employer decides whom to hire and how much to pay. Here’s the hard part for economists and experts to understand: Employers decide to pay women less, simply because they can get away with it. The law of parsimony instantly leads us to the obvious motive: Paying less saves companies money. Everything else is speculative claptrap. Let’s look at some of the gratuitous “analysis” about why women are paid less than men. Look closely: It all delivers one absurd message: Women are the problem, so women should change their behavior. “Sorting?” Armchair apologist Chamberlain is saying women apply for jobs that pay less and men apply for jobs that pay more. While this may sometimes be true, what he fails to note is that when a man and a woman do the same job in the same industry, one is paid less because the employer pays her less. The absurd prescription for women: This will change if only women will change their behavior! Gimme a break. Women, when you get men to wash dishes, you’ll change how boss men pay female employees. The prescription: It’s all up to you. Change your behavior at home. The Exponent, reporting on Purdue University’s Equal Pay Day event on April 12, says that the wage gap is “largely based on the fact that, generally, women don’t negotiate their salary once they get into their career field.” Those women. Dopes. They’re doing the wrong thing — that’s why they get paid less! Change your behavior! Kris Tupas, treasurer of the American Association of University Women chapter at Purdue, explains that employers pay women less “because our culture teaches women to be polite and accept what they’re given.” Again the prescription is for women: Change your behavior! Women get paid less because they don’t know they can ask! Gimme another break! And what’s Babcock’s prescription? Women — you have to ask to be paid fairly! Change your behavior! Fox News’s Star Hughes-Gorup tells women how they can fix the pay gap: “Get educated.” If you want to make as much as the guy in the next cubicle who’s doing the same job, hey, get more schooling after the fact to impress your employer. The prescription: Women: If you stop limiting your thinking, you’ll get paid more. So, get with it! Change your behavior and your thinking! Disclosure: I can’t believe anyone buys any of this crap, much less that anyone else publishes it uncritically. Why do all those articles prescribe that women must change their behavior to get paid more, when it’s employers who are making the decision to pay them less? Should women appease employers, or respond to unfair pay some other way? Surveys over the years show that the top reasons people quit their jobs include (1) dissatisfaction with the boss, and (2) work-life balance. (E.g., Inc. magazine’s 5 Reasons Employees Leave Their Jobs.) Money is not the main reason. What’s interesting is that the HR executives Noël surveyed don’t get it — HR thinks “that the top reason why women leave is family reasons.” Is it any wonder employers attribute lower pay to the “choices” women supposedly make? Millennial women are the generation that has figured out they’re not the problem. Unlike their older peers, they’ve figured out that when they’re not getting paid what they want, the answer is to quit and go work for an employer who will pay them more. As a headhunter, I know first-hand that quitting is the surest way to take control when you’re underpaid and your employer will not countenance paying you fairly. I also realize that not all women — or men, for that matter — can afford to quit a job that is paying them unfairly. But that doesn’t change the answer that will most enduringly change how employers behave. Kudos to women who take the initiative, and who don’t blame themselves or alter their own behavior when an employer’s behavior is the problem. I wonder how many employers have taken notice? Do they realize the generation of female workers that’s coming up the ranks isn’t going to tolerate financial abuse — they’re just going to walk? Do we need a law? I’m not a fan of creating laws to dictate what people should be paid. But I’m not averse to regulations about transparency and disclosure. With some simple disclosure regulations, I think more women can start getting paid as much as men do for the same jobs. Companies want our resumes; let’s have theirs, too — a standard “salary resume” provided to all job applicants, comparing pay for women and men at a company. Employers would be free to pay men twice what they pay women, if they want. And upon checking the salary disclosure, job seekers would be free to walk away and join a competitor who pays fairly for work done by anyone. If we’re going to analyze behavior, let’s analyze employers’ underhanded behaviors — not women’s personalities, cognitive styles, or biological characteristics. I’ll say it again — There is only one thing a woman should have to do to get paid as much as a man: her job. Employers who don’t pay fairly will stop getting away with it when they’re required to tattoo their salary statistics on their foreheads — so job applicants can run to their competitors. Or, more likely — since new laws aren’t likely — employers will change their errant behavior when a new generation of women just up and quits. That would be quite a news story. Maybe then the media and the experts will stop blaming women for the gender pay gap — and start challenging employers to raise their standards. What’s the solution? Do we need a walk-out? Do we need regulations? Do we need a corporate stock and pillory? Does anybody think there’s no gender pay gap? In the April 5, 2016 Ask The Headhunter Newsletter, a manager wants to know how to assess an employee for a promotion. I manage a small team, but I’m pretty new to management. Now that it’s time to promote someone, I’m not happy with the criteria my HR department has given me to justify the promotion. It’s frankly nonsense. I don’t want to promote someone just because they’ve been on the job for two years. I want to use the opportunity to really assess whether they are ready for more responsibility and some new authority, and to help the employee realize what this means for them, for my department and for our company. Do you have any suggestions for how I should handle this so it will mean something? Well, you’re not managing by rote, I’ll give you that! I’m glad. A promotion should be the result of dialogue between you and the employee, and it should be handled something like a job interview. Of course, you know a lot more about an existing employee than you do someone applying for a job. But I agree that you should not waste the opportunity to help your employee step up to the challenge that a promotion really is. This should be a bit of a test where the employee demonstrates what they can do. In part, you have to follow your gut, by considering how this person has performed over the past two years. In part, you should base the promotion on your estimate of how they will perform going forward, on the specific tasks and objectives they will soon face. This is actually all about what you already know. The rest is up to the employee: You should absolutely test them in some reasonable way. Here’s how I’d approach it — but, please, leaven my suggestions with your own good judgment. It’s no easy task for a manager to decide who is worth promoting. It’s always risky to assign additional responsibilities or authority to an employee: Will she lighten the manager’s load or just add to it? I think there’s a simple initial test for promotability, though you should consider other factors and criteria that make sense to you. My goal with this method is to stimulate a dialogue between you and the employee that will help you decide — and that will also help the employee grasp the importance of new responsibilities and authority. This is based on the idea that the farther up the ladder a person goes, the more impact (positive or negative) they can have on the bottom line. Before you promote someone, find out how well she understands this idea. This test has two parts. First, ask the employee to explain (a) how her current job contributes to the company’s profits, and (b) how she thinks the job she may be promoted to impacts profits. 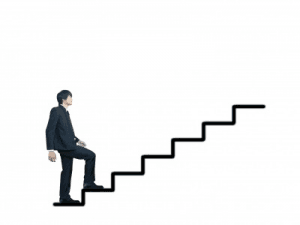 Second, ask (c) what three things she has done in her current job to optimize profits and (d) what three things she would do in the “next job up the ladder” to optimize profits. Remember that as someone’s boss, your goal is to get the best work out of them that you can. That makes you a mentor and a guide. If the employee fails, you fail. So, you must do everything you can (within reason) to help the employee succeed at getting promoted, just as you normally do as her boss to help her get her work done effectively every day. Encourage the employee to prepare a brief, written report for (a), (b), and (c), and a brief, written plan for (d). Written might mean she prepares a presentation and outline on your whiteboard, or it might mean a short PowerPoint presentation or a narrative. Please: Don’t make it too formal! Casual and conversational is best. Point out that you are available to help in any way (short of producing the reports, of course). You’re her manager, after all, and managers and employees collaborate all the time in a healthy work environment. You want her to succeed. This will trigger a thoughtful dialogue that will reveal what you need to know about the employee’s acumen and potential. No matter how the employee responds to this, you as the manager will learn a lot. I think you’ll see the mark of a promotable employee pretty readily. As you might guess, not all employees will be able to deal with this effectively. Promotable employees will get it! 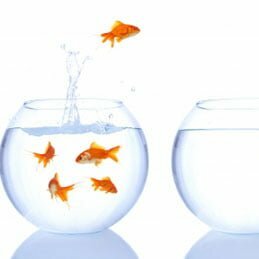 If you’re a manager, how do you handle promotions? When you’ve pursued promotions yourself, how did you make your case? What approach other than the one above would you recommend to the manager in this week’s Q&A?